O IMPACT Software Suite, com mais de 120 ferramentas de inspeção e 50 controles de interface de usuário, permite aos usuários criar programas de inspeção únicos e desenvolver interfaces de usuário de forma rápida e fácil. Tudo isso pode ser feito sem a perda de flexibilidade, como os tradicionais sistemas configuráveis, ou a necessidade de grandes quantidades de tempo de desenvolvimento. IMPACT Software Suite também fornece um Kit de Desenvolvimento de Software (SDK) que garante a integração total de capacidades de monitoramento de visão de máquina em aplicativos de software HMI. O VPM (Program Manager) fornece centenas de funções de processamento e análise de imagem. Use o VPM para aprimorar imagens, localizar recursos, medir objetos, verificar presença ou ausência e ler códigos de texto e de barra. O CPM simplifica o desenvolvimento de interfaces de operador com a capacidade de fazer ajustes on-the-fly em máquinas críticas Controles. O CPM cria painéis de interface do operador para visualizar e ajustar os controles críticos da máquina. IMPACT Software Development Kit (SDK) consiste em uma biblioteca de software para desenvolvimento HMI. Permite aos desenvolvedores implantar aplicativos de software para interagir com dispositivos de visão Datalogic. 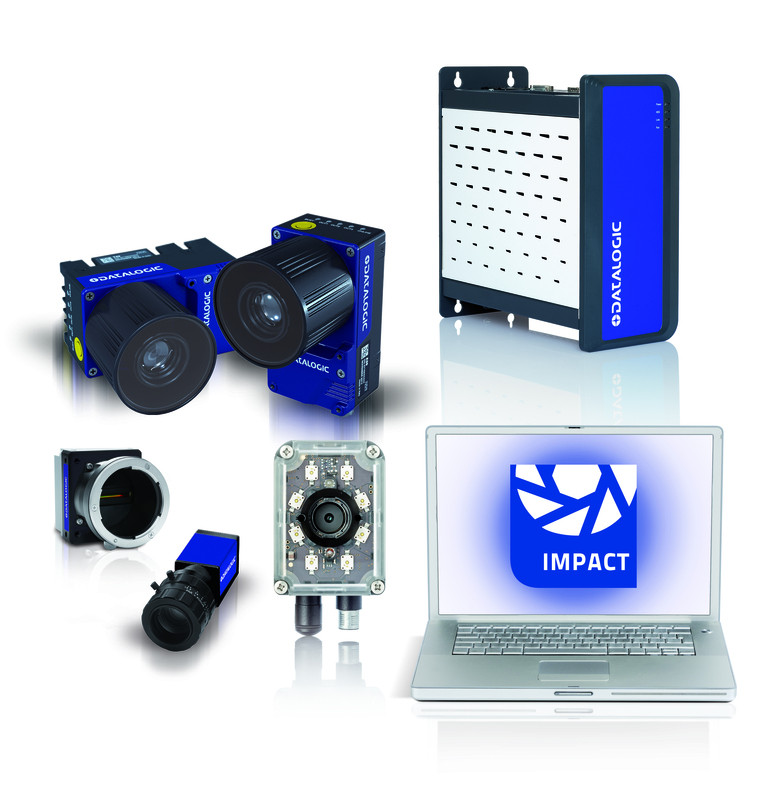 Software Documentation for Impact Machine Vision products. This is the most recent release. The release notes and readme files for Impact Software Release 12_0_1. This is the most recent release. Documentation for the Impact Vision Software Developers Kit (SDK). The SDK provides HMI programming access to Impact Software vision programs and camera functions. Utilities for Machine Vision cameras and processors. The Optics Calculator provides many different functions, from lens selection to pixel blur. Use the HASP update utility to add licenses on M-Series and MX vision processors. The GSDML file describes the PROFINET device model features. EDS is for use with Impact and a PLC. RSLogix AOI (Add On Instruction) is for use Impact and Rockwell RSLogix 5000 PLC. IMPORTANT: Read the file README_FIRST for important information about this release. This version supports A30, T4x-Series, P-Series smart cameras, and MX-E/U Vision Processors. IMPACT Lite only supports P-Series cameras. IMPACT 11.12.x is the most recent version which supports the Legacy Win 7 64-bit MX-Series Vision Processors. This version supports A30, T4x-Series, P-Series smart cameras. It also supports use of the E-series cameras on MX-E/U Vision Processors. IMPACT 11.10.x is the most recent version which supports the Legacy Win XP 32-bit MX-Series Vision Processors. This version supports A30, T4x-Series, P-Series smart cameras, along with the MX and MX-E/U Vision Processors. It also supports use of the E-series cameras on MX Vision Processors. An interactive tutorial for learning how the Impact+ Object Detector intuitive Configuration Interface makes it easy to solve object detection applications. Identify imperfections in rubber seals for use in market leading coffee makers. The inspection eliminated inner and outer overflows, as well as incomplete seals.